Leading Spanish hotel group Meliá Hotels International has expanded its presence in China, the world’s largest travel market, with the opening of the Meliá Shanghai Hongqiao. The five-star hotel is aimed at the ‘bleisure’ segment, a sector in which the company has demonstrated its strength and ability to meet the needs of customers who aim to combine both business and leisure on their travels. Located just a short distance from the National Exhibition and Convention Centre in the west of Shanghai and 10 minutes from Hongqiao Airport, the hotel has a prime location for business travellers combined with exceptional dining and wellness facilities. Meliá Shanghai Hongqiao has 187 luxuriously equipped rooms with sophisticated interior decoration with an Asian flair, as well as the VIP The level service characteristic of the Meliá brand. Three Chinese neoclassical independent villas measuring 400m² and with a garden, offer an additional accommodation option accompanied by exclusive services such as a personal butler, private dinners or limousine service. The hotel also provides 700m² of space and facilities for events and meetings, a YHI Spa – the wellness sanctuary of the Meliá Hotels & Resorts brand – indoor pool and gym, while the Spanish chef Abel López Reina runs the Merkado Restaurant, combining Mediterranean and Asian cuisine and adding a Spanish touch to the hotel experience. In addition, the Garbo Bar aims to become one of the best cocktail bars in the area. This is the third hotel for the company in China, joining the Gran Meliá Xian and Meliá Jinan, and it expects to open another five hotels in the future. Meliá has also extended its partnership with Ctrip, the country’s leading online travel agency, to improve its brand recognition and attract a greater number of Chinese guests to its hotels all over the world. 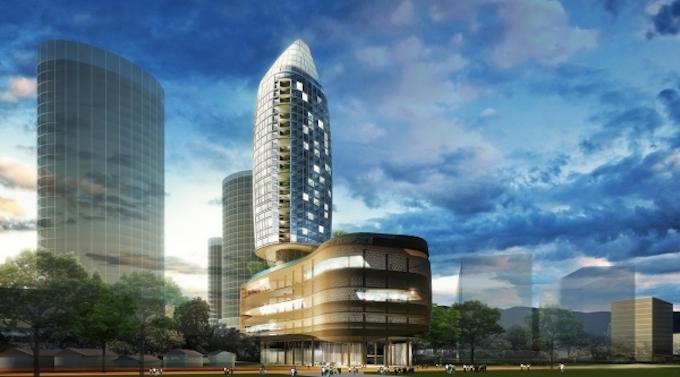 In addition, Meliá has also announced its fourth hotel in Malaysia – the new Meliá Melaka, scheduled top open in 2020. The 250-room hotel, owned by Haleton Group, will be located in the centre of the city of Melaka, which has been named a World Heritage Site by UNESCO. Just a short distance from Kuala Lumpur and Singapore, the city is one of the most popular tourist destinations in the area.